Sensei was wanting to make sure that dojo shibus are teaching ippon kumite and Sandan uke..he knows he doesn't teach it at his seminars..but he wants to make sure we are. Also I got the feeling for gradings he wants to see the kihon ippon kumite drills. 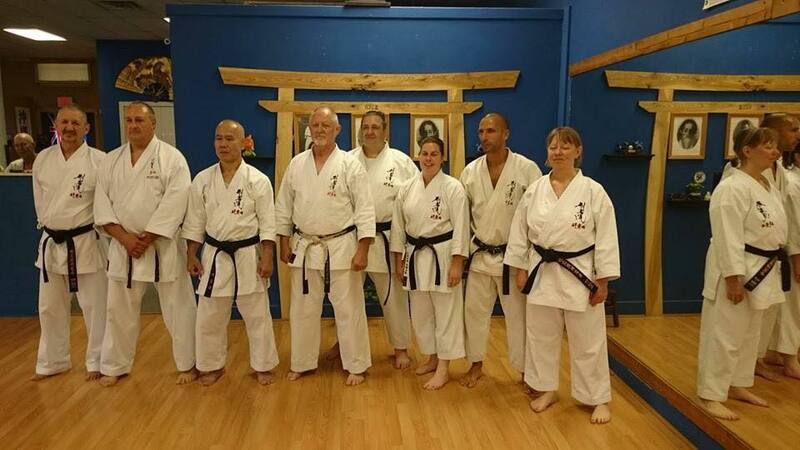 Congrats to Bill Martin, Sue Robinson, and Travis Young for their godan gradings and Shonna Dovel for her Nidan grading...also Travis Young was awarded shibu status for Wisconsin.